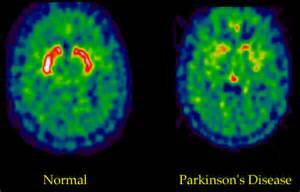 Parkinson’s disease is a chronic disorder which affects the central nervous system. Approximately 10 million people suffer from Parkinson’s disease throughout the world today. This disease causes tremors and does not allow the body’s movement to function correctly. Early signs of Parkinson’s disease include slight shaking in a noticeable area of your body, such as your finger or even your lip; smaller and more condensed handwriting; loss of smell; not being able to sleep; stiffness that makes it slightly difficult to move or walk; every day constipation; and even dizziness. This disease, that is a degeneration of the brain, has no known specific causes and no known cure. There are, however, different treatments that can help alleviate Parkinson’s symptoms. There are various Parkinson's treatment options, such as medication, surgical therapy, and lifestyle modifications (for example, better rest and extra exercise). With all the possible treatments available, it is good to weight your options. The following lists offer different treatments as well as the most probable pros and cons. Dopamine Replacement Therapies are meant to help in producing more dopamine. These types of drugs are usually combined with at least one more to assist each other. Improve mobility which allows more normal functionality. This is best for early symptoms of Parkinson’s disease. Do not slow progression of the disease. Have serious side effects including hallucinations. Do not keep symptoms away from one dose to the next, and actually, over time symptoms come back more quickly between doses. Must stay away from high-protein diets because the protein can prevent the drugs from working correctly. Do not treat all symptoms such as posture and depression. Dopamine Agonists mimic dopamine and can be used alone or with other drugs to better their functionality. Higher protein diets do not affect these drugs. There are several ways of administering these drugs, including skin patches. Do not alleviate motor symptoms well. Have side effects such as suddenly falling asleep, having hallucinations and portraying unusual risky behaviors. Do not treat all symptoms such as cognitive problems and depression. MAO-Inhibitors can be taken alone or with other drugs to assist the treatment such as Dopamine Replacement Therapies. Assist other drugs for Parkinson’s symptoms. Do not greatly alleviate any symptoms. Have greater side effects in the elderly such as hallucinations. COMT-Inhibitors are only used along with other drugs to better their functions. Help other drugs last longer, thus alleviating symptoms longer. May increase other drugs’ side effects such as hallucinations and suddenly falling asleep. Amantadine is taken with other drugs. Do not work as well in people over the age of 70. Although this drug may alleviate many symptoms, if taken by someone who does not suffer from tremors, this drug will most likely not help that person with any symptoms. Have side effects such as hallucinations, dry mouth, and constipation. Deep Brain Stimulation (DBS) is a procedure in which an electrode is place into the brain and gives pulses to try and stimulate the parts of the brain that are affected. This treatment also helps with neuronal functioning. Helps alleviate side effects from those drugs associated with alleviating symptoms from Parkinson’s disease. Does not alleviate all Parkinson’s symptoms. Have the same risks connected to any surgery. Pallidotomy and Thalamotomies are both surgeries in which lesions and scars are created in the brain to destroy the area that causes Parkinson’s symptoms such as tremors and imbalance. Alleviate tremors and some other Parkinson’s symptoms. Do not alleviate all Parkinson’s symptoms. Cause serious side effects such as depression, drooling, impaired speech, and intellectual impairment. Both are considered a last resort as complications are very likely to happen. Exercise, in general, helps with flexibility and stiff muscles. Gait training helps learn new ways to accomplish tasks, such as walking and turning, which have been affected by Parkinson’s disease. Eliminating stress can help keep your body in a more tense-free state. Stay warm as being cold can worsen symptoms. A newly discovered potential natural treatment for Parkinson’s symptoms is cannabis or marijuana; this treatment has been newly accepted in the mainstream yet has been studied and tested since 1970. It is also known that cannabis used medicinally has been found to date back to 4000BC in China. Cannabis has been shown to significantly lesson, and in some cases, eliminate motor symptoms in Parkinson’s patients. After this treatment, patient's cognitive capacities greatly improved. And they were found to get better sleep, and pain fluctuation decreased or even ceased in most patients. Scientific study shows that the reason behind the potential benefits to Parkinson’s patients is because of the cannabis (THC) receptors within the brain. Many of these receptors are concentrated in the same region of the brain that is relevant to Parkinson’s symptoms.The side effect was hallucinations, or perceived differences in the world around them. Only 1% of all patients, in all studies, were found to have this side effect. One bonus to cannabis as a treatment for Parkinson’s symptoms is that this plant can be consumed in several different ways. Marijuana can be smoked, eaten, or even prepared and consumed as an oil or wax. Butter can be saturated with marijuana leaves or buds, creating a “treatment” butter which can be used in any recipe. Very little taste of the marijuana is found when used as butter. Note: Use marijuana for Parkinson's disease is new and some may develop dependence on it. So talk with your doctor and make sure whether marijuana is legal in your area before taking it. As with any treatment plan, you need to weigh your own options regarding your specific needs and beliefs. There are pros and cons to every treatment possibility, so talk with your doctor about which treatment suits you best. If necessary, you can ask for a second or third opinion.